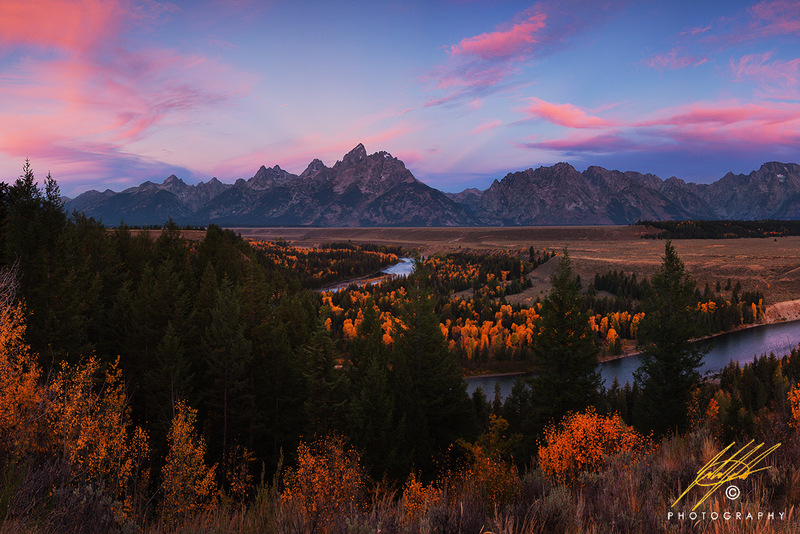 In 1942, Ansel Adams decided to create a work of art that would likely live forever at the Snake River Overlook. People from around the world have visited this location to witness the view that had inspired him and hopefully witness the scene in inspiring light. Much has changed about the landscape since 1942, however, the area is still overwhelmingly beautiful. I do not believe it is anyone's intentions to visit any of these famous locations to out-do or out-preform the original artist. I believe it is simply to have fun witnessing a scene that is so well known, while also photographing it for ourselves in light that has never been seen before, as all light every moment is light that has never been seen before that exact way. It is this concept of constantly changing light that is so interesting about photography, one in which that will continue to foster imagination and inspiration for a lifetime. Canon 6D, Canon 24-105L (@35mm), 3-stop soft edge graduated neutral density filter, ISO 100, F/11, 1/2 of a second. Five image panorama - camera in vertical orientation. Snake river is really beautiful.I am a tourist and love to travel on new tracks and cover new places.Its very nice post as i did not visit this place ever before.Thank you for sharing this.